The dark and compelling tale of an abusive teen relationship, told from the perspective of the victim, fourteen-year-old Anna. This book is intense. It had me gripped from the start. Seven Days was a dark read, so I expected something quite dark from Crush. I never expected Eve Ainsworth to write a story centred around an abusive teen relationship but I’m so glad she did as I think it’s such an important subject to be out there. It happens and it needs to be represented so teenagers and adults alike know that they’re not alone. As I mentioned, this book is intense, so I would say it should come with a trigger warning. It does cover both physical and mental abuse by a partner. 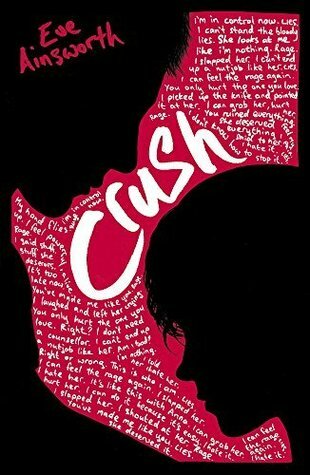 Crush is a really raw story. It’s so dark that I found it really uncomfortable to read at times. It tells the story of an abusive relationship between two teenagers. We start the story with Anna struggling with her change in family situation. Her mum has walked out on her family which includes her Dad and her younger brother. Anna starts off so in love with her boyfriend Will. She can’t believe that he wants to be with her. He takes her away from her horrible life at home and makes her feel loved. Slowly, but surely their relationship begins to spiral into a very unhealthy place. I loved the pace of this story. We see the characters fall in love, we see things start to unwind and get unhealthy and we have the opportunity to read from both perspectives. Eve Ainsworth really captures every emotion both Anna and Will are feeling. It’s so tough to read because as a reader you understand something is really wrong with Will but at the same time, you can’t excuse his horrific behaviour towards Anna. I think if you haven’t experienced this awful behaviour, you can still feel every emotion that both characters are going through. I feel like Crush was a reminder to others that there are usually reasons behind people’s behaviours and their experiences can shape them as a person grows. Eve never excuses actions that are done. She explains the history of the characters and that paints a clear picture as to why characters act in certain ways. This is such an important book. It’s a real page-turner and I’m sure it’ll stick with me for a very long time. Eve Ainsworth’s writing is incredible! I was gripped from the start. I highly recommend this powerful book. This sounds like a really important book! I’m adding it to my wishlist! 🙂 It’s wonderful. Intense, but wonderful.